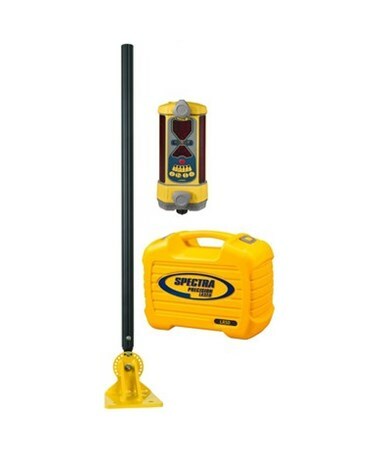 The Spectra LR50 Laser Machine Control Receiver is designed to be used as a stand-alone display receiver on grading and excavating equipment. It is an ideal choice for doing machine mounted grade checking, grading and leveling, and excavation and trenching. Featuring a versatile 360-degree reception angle, this machine control receiver can work with all types of rotating lasers for a fast, hassle-free setup. 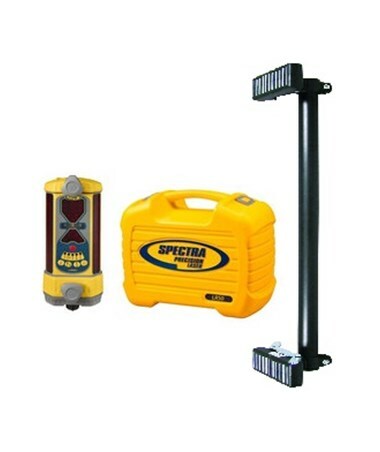 With three accuracy settings, this Spectra receiver provides the maximum flexibility by allowing the user to work to the tolerance demanded by the job. Also, it features a built-in blade tilt and plumb indicator for increased grading accuracy and precision. 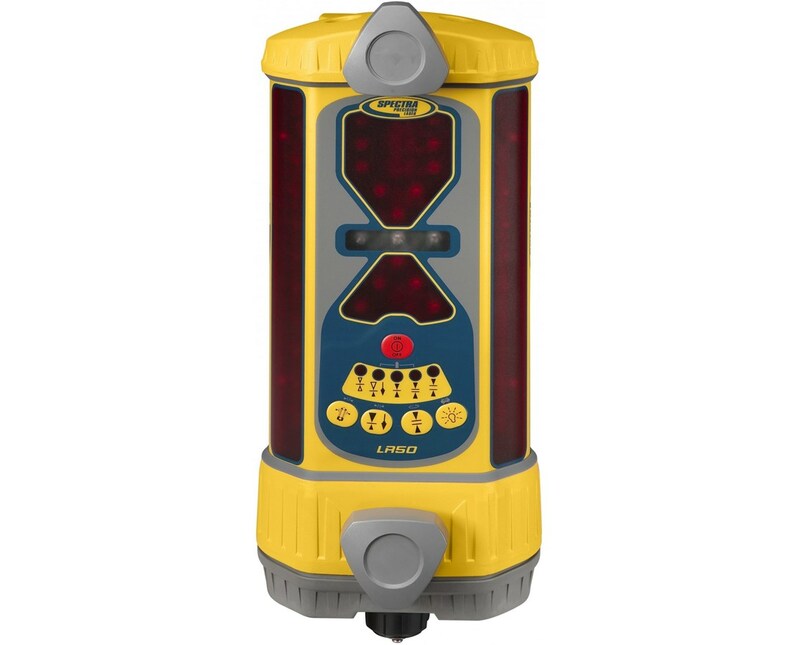 The LR50 receiver includes a 6.75-inch capture height and six display channels of grade information when in excavating mode. Also, it comes with an adjustable, ultra-bright LED with a green on-grade display that provides user selectable, an easy-to-see display for matching ambient lighting conditions. 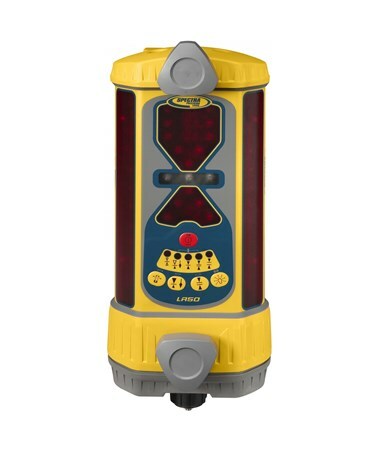 This machine mounted receiver includes touch panel buttons for selecting blade-tilt indication, on-grade location, plumb indication, and display brightness. 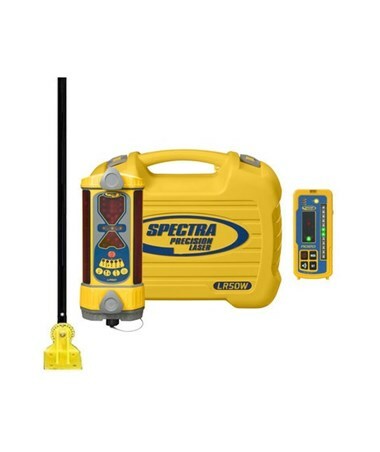 Rugged and durable, the Spectra LR50 is constructed from a tough aluminum polycarbonate housing that protects the instrument from knocks and drops. Also, it has a 60-hour battery life and has an automatic shut-off function when left inactive for 75 minutes. This receiver includes large, front-facing knobs that allow a quick and fast installation to a round pipe or square tubing. As an additional feature, there is an option of the RD20 wireless remote for an easier job. 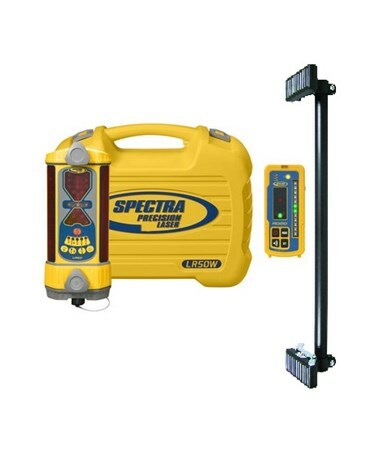 The Spectra LR50 Laser Machine Control Receiver offers eight packages with different features including connectivity, battery options, mount and an optional remote display. Please select from the drop-down menu above. The MM-1 Magnetic Mount works with all Spectra LR machine control receivers and can quickly attach to the dipper arms of excavators or backhoes. It features strong, adjustable dual magnet packs for a secure machine attachment. With wireless capability, the Spectra RD20 Remote Display connects with the LR30W to provide grade reading and information inside the cab of the machine for easy viewing. The DM-20 Dozer Mount is a 42-inch easy-to-install rigid mast that provides the ideal Spectra LR machine control receiver height for bulldozer applications.